A grinning skull decorates the guard of this fantasy LARP dagger. 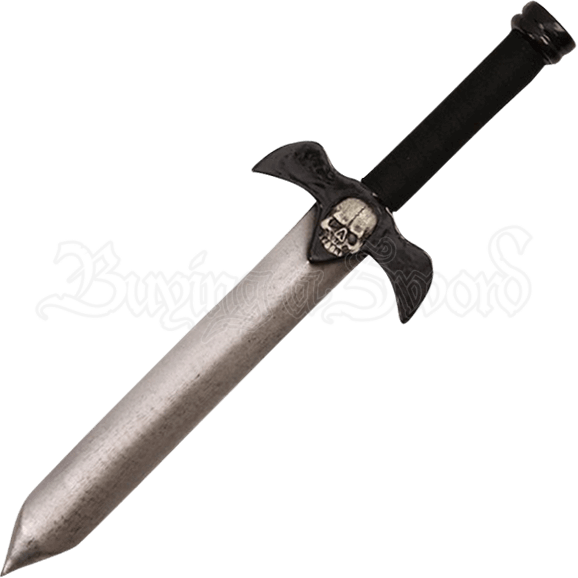 The Skull Guardian LARP Dagger is an excellent sidearm for assassins, rogues, dark elves, and other nefarious personas that skulk in the shadows at LARP campaigns. Crafted from dense latex foam with a unique fiberglass fusion core, this gothic LARP dagger is lightweight and extremely flexible. The durable latex construction with painted details provides a realistic look for any cosplay or theatrical production. With a cord wrapped handle for a secure and comfortable grip, this Skull Guardian LARP Dagger is suitable for light sparring.